Get up to Top1000 daily and hourly ranking performance in up to 155 App Stores for iOS and Google Play. Support also for Mac, AppleTV and Sticker apps. 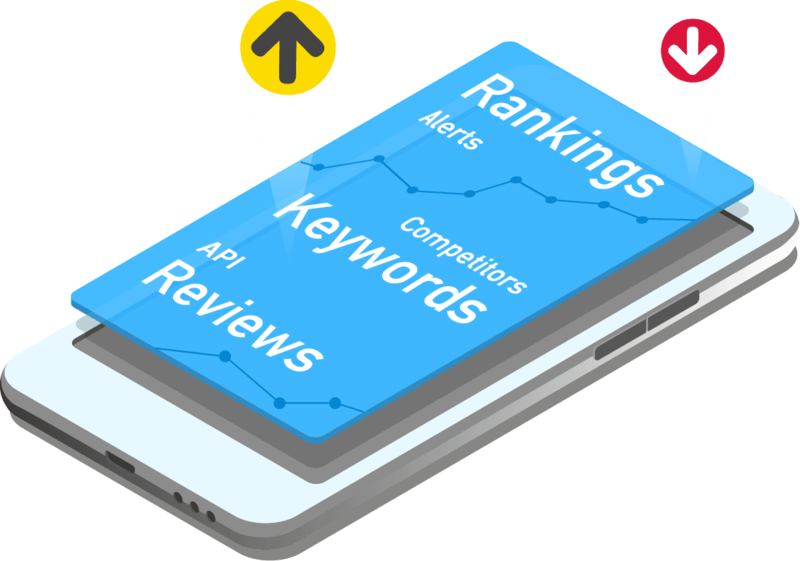 Extract the most the most relevant keywords for your apps and your competitors. Get worldwide search results for iOS, Google Play, macOS and AppleTV. 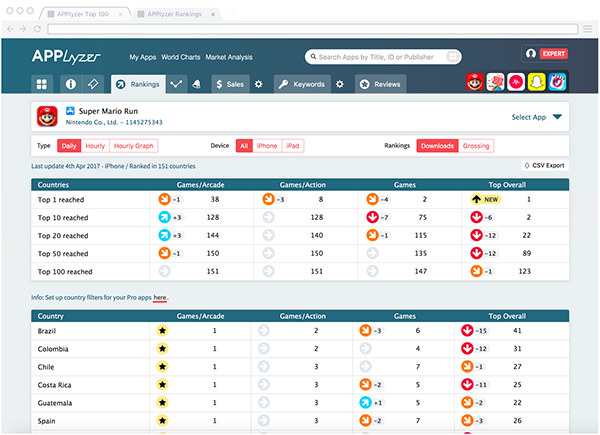 Download CSV data, use the Report Generator or integrate the APPlyzer Restful API into your software tools, interfaces and dashboards. Realtime market data in your hands. 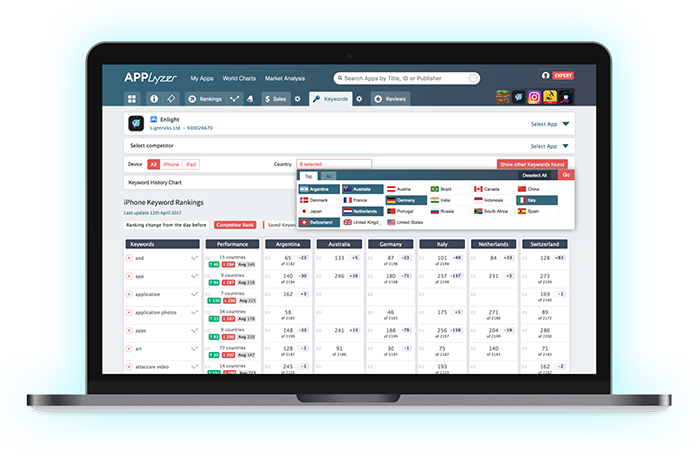 Worldwide reviews and customer feedback from up to 155 app stores. 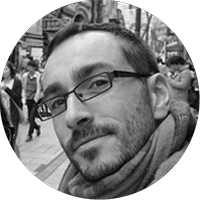 Understand the audience with auto-translation from 100 languages. Stay informed about significant ranking changes with daily and hourly alerts through Email and Slack.